Eight years have passed since Morocco’s iteration of the “Arab Spring” with the February 20th Movement. Since then, Moroccans have continued expressing dissent in varying forms, while the state has responded with varying forms of oppression. Despite promises for reforms and grandiose development projects, socioeconomic indicators remain grim, contributing to an ongoing emigration of the country’s skilled and educated population. This talk will examine recent political, economic, and social developments in Morocco to better understand where the country stands today and to consider what possibilities for the future may hold. 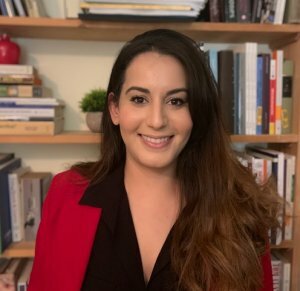 Samia Errazzouki is currently pursuing a Ph.D. in history at the University of California, Davis. She is a former Morocco-based journalist, where she reported for the Associated Press and, later, Reuters. While in Morocco, Samia also worked as a research associate with the University of Cambridge, researching the media landscape in the country. Samia is a co-editor with Jadaliyya and a co-founder of their Maghreb Page. Her past publications have appeared in the Journal of North African Studies, the Washington Post, the Middle East Institute, and the Guardian, among others.